Stroll through Lancaster and you’ll find history on every corner. Unlock history within the castle prison walls or admire Georgian Splendour in its fine buildings. Want to take in the views? Then head up to Williamson’s Park and enjoy the views from the Ashton Memorial, one of the North’s great follies. 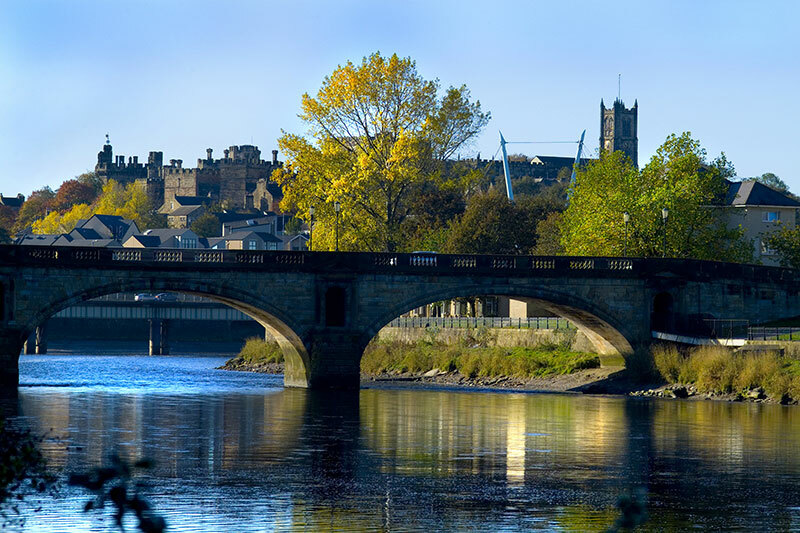 Lancaster really is one of England’s Heritage Cities with a big story to tell. Lancaster Castle is steeped in almost 1000 years of history, including the trials of the Pendle Witches and the Birmingham Six. Lancaster Castle is one of the most important historic monuments in the North West. Come and visit the old cells, Shire Hall and Crown Court. Built in the centre of Lancaster against the backdrop of Lancaster Castle, the Judges’ Lodgings, an elegant, Grade I listed building is Lancaster’s oldest town house. The house (now a museum) was originally home to Thomas Covell, Keeper of Lancaster Castle and notorious witch hunter. Roman Bath House and Wery Wall Remains is an interesting surviving fragment of Roman walling on the east slope of Castle Hill and represents a section of a bastion of the last Roman fort on the site. Adjacent to the wall are the excavated remains of a small Roman bathhouse. Lancaster Priory & Parish Church dates from the 11th Century, though there has been a church on the site from 630 AD. Come and discover the Church’s history and witness the impressive medieval interior, with Viking ornaments and much more. Furness Abbey, or St. Mary of Furness is a former monastery located in the northern outskirts of Barrow-in-Furness. The Abbey dates back to 1123 and is built entirely out of local sandstone. The majority of the current ruins date from the 12th and 13th centuries. By the 15th century, it had been completely re-modelled and has become the second richest and most powerful – as well as one of the grandest – Cistercian Abbeys in England. Of historical interest are the stone graves in the ruins of the ancient St. Patrick’s Chapel, close to St Peter’s Church. They are thought to date from the 11th century and are hewn from solid rock. Local legend has it that St Patrick landed here after crossing from Ireland and established the chapel. However it has been established that the chapel was built around 300 years after Patrick’s death. These stone graves appear on the cover of the Black Sabbath CD, ‘The Best of Black Sabbath’. The grounds of St Peter’s Church contain many Saxon and Viking remains, and the church itself contains a Viking hogback stone. Hey sham also contains one of only three sites in Britain and Ireland that contain a pre-Roman labyrinth carving. Piel Castle, is situated on the south-eastern point of Piel Island, off the coast of the Furness Peninsula. Built in the early-14th century by John Cockerham, the Abbot of neighbouring Furness Abbey, it was intended to oversee the trade through the local harbour and to protect against Scottish raids. The castle was built using stones from the local beach, and featured a large keep with surrounding inner and outer baileys. A privately owned country house located close to the village of Cartmel, Cumbria, England, a location previously in the historic county of Lancashire. It was “the grandest building of its date” and the house stands in an estate of about 80 hectares, surrounded by formal gardens, parkland and woodland. There are many events and activities throughout the year and the house, café and local produce shop is open to visitors. Levens Hall is a magnificent Elizabethan mansion, situated in the Kent Valley, close to Kendal. Originally built around a 13th Century pele tower, it was expanded and rebuilt towards the end of the 16th Century. It is the family home of the Bagots, and contains a collection of Jacobean furniture, fine paintings, the earliest English patchwork and many other beautiful objects. Dalton Castle is a grade I listed 14th-century peel tower situated in Dalton-in-Furness. 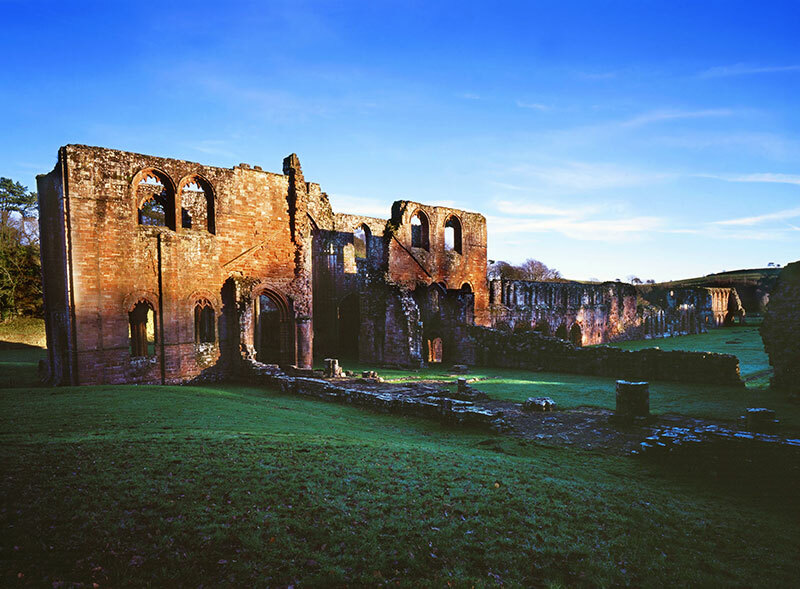 It was constructed by the monks of Furness Abbey for the protection of the nearby market town and was the building from which the Abbot administered the area and dispensed justice. The property hosts an exhibition on local history, as well as a display about local painter George Romney. The ancestral home of the world-renowned Gillow furniture family, Leighton Hall is still lived in today and is no stuffy museum – there aren’t any roped off areas here! Share the magic of Leighton Hall’s colourful heritage and unique “personality” either at a regular day visit or during one of their special themed events throughout the season. Constructed in 1794 Marsh Mill is a Grade II* listed Tower Windmill, one of the best in the UK with working machinery. Here you will get a unique introduction to milling of a bygone era. Guided tours of the mill are available at a small charge, with exibitions, workshops and events during the year, and children’s activities during school holidays. The mill is set in the centre of Marsh Mill Village with shops and free entertainment that are open all year. However, the actual Mill is only open weekends from April until the beginning of November. Carnforth Station Heritage Centre and the Brief Encounter Refreshment Room opened on 17 October 2003 following 3 years work to renovate the derelict buildings of Carnforth Station. In 1945 it was the location where David Lean filmed his romantic classic “Brief Encounter” starring Celia Johnson and Trevor Howard. Carnforth Station was perfect as it was remote and safe from attack, but filming had to take place at night, so as not to interfere with daytime train operations. 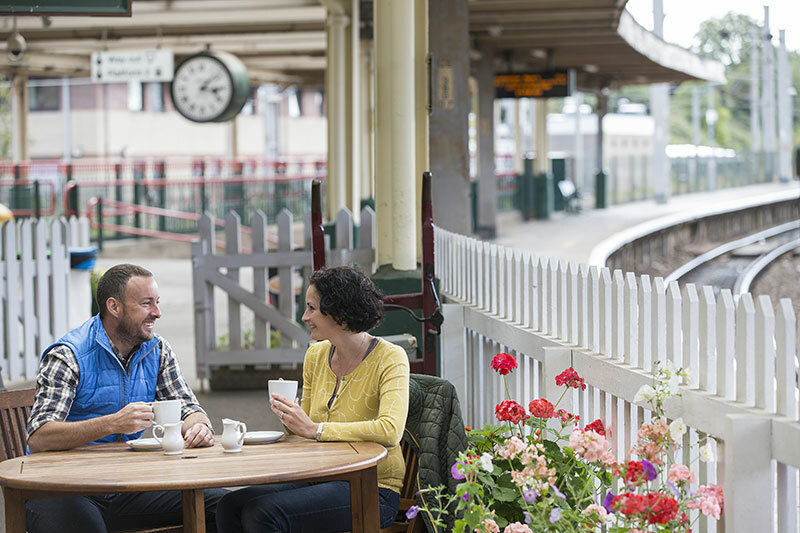 Visitors now come from all over the world, to enjoy the nostalgia of the station, which has been restored to it’s 1940s glory when the Refreshment Room was used as the setting for David Lean’s film “Brief Encounter”. Both the Heritage Centre and the Refreshment Rooms are open daily and this year sees the opening of a permanent David Lean ‘Life and Works’ Exhibition in the Bateman Gallery at the station. The John Barrow Monument (known locally as The Hoad) is a 100 ft (30.5 m) tower at the top of Hoad Hill (436 ft/133 m), near Ulverstone and was erected in 1850 at a cost of £1250. It commemorates Sir John Barrow who was born in Ulverston in 1764. Sir John was a founder member of the Royal Geographic Society, and held various government posts in the 19th century becoming the Second Secretary to the Admiralty. Whilst the monument was designed to resemble a lighthouse, it has never had a functional light. It is a Grade II* listed building and the monument stands as one of the iconic symbols of the Northwest of England. Grange is first mentioned in the ancient Cartmel Priory Registers of the 15th or 16th century, when it was recorded as ‘Grange-with-Kentisbank’. It is generally believed that the name derived from the old French ‘Graunge’ meaning ‘a barn’ or ‘granary’ where the monks of Cartmel Priory stored some of their grain (or possibly from the Latin ‘Grancia’ – meaning Grain). On the edge of the Lake District, the 1,600-acre Sizergh estate is amazingly varied with limestone pastures, orchards, wetlands and semi-natural woodland, inhabited by a rich and diverse wildlife, including the rare hawfinch. With more than 700 years of history and centuries old portraits sitting alongside modern family photographs, this medieval house certainly feels lived in; indeed it’s still home to the Strickland family. It’s surrounded by rich gardens including a limestone rock garden, where colours change with the passing of the seasons; its timeless atmosphere makes this the perfect place to relax.